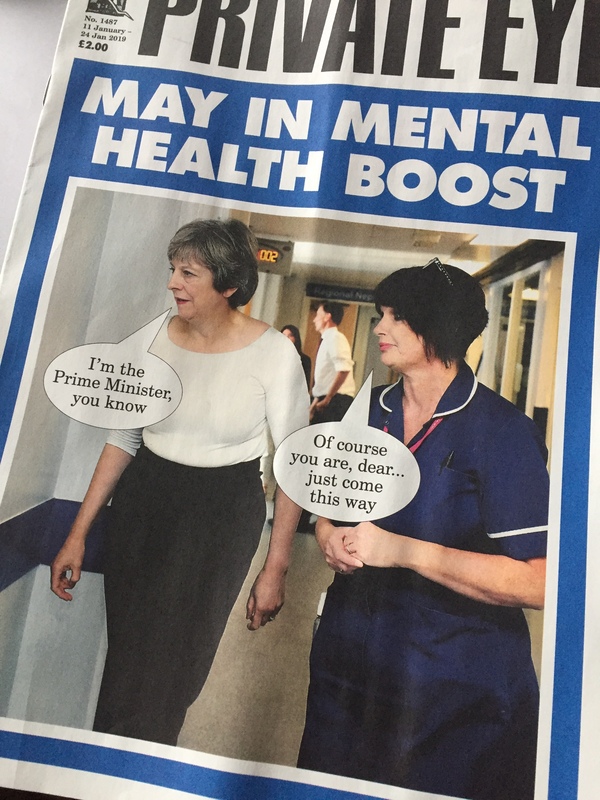 Cover of the current issue of Private Eye. Fascinating but grim analysis by journalist Tom Stevenson of A Study of Assassination, an anonymously authored CIA handbook for covert political murder written in 1953 and declassified in 1997. The handbook was produced as a “training file” for operation PBSUCCESS, the codename of a CIA plot launched by the Eisenhower administration to topple the Guatemalan government. The figure of the lone assassin, it turns out, is not purely a creation of fiction. Ideally an assassin ought to act alone to reduce the chances of the plot being uncovered. Different circumstances call for different kinds of assassin. They all require courage, determination and resourcefulness, but in cases where the killer won’t be slipping away to safety a fanatic is needed. Stevenson reports that in 2007 the National Bureau of Economic Research conducted a survey of assassination attempts on national leaders since 1875. The results suggest that assassination is not a terribly efficient business, which I suppose is good news. In 298 cases it found only fifty-nine resulted in the target being killed. Firearms and explosives were overwhelmingly the most popular methods, used in more than 85 per cent of attempts. The firearms had a success rate of just 30 per cent and explosives a dismal 7 percent. After all, the CIA analyst says, “the obviously lethal machine gun failed to kill Trotsky where an item of sporting goods [an ice-axe] succeeded”. The new study, published today in Scientific Reports, shows that these birds can create long-reaching tools out of short combinable parts – an astonishing mental feat. Assemblage of different components into novel functional and manoeuvrable tools has, until now, only been observed in apes, and anthropologists regard early human compound tool manufacture as a significant step in brain evolution. Children take several years before creating novel tools, probably because it requires anticipating properties of as yet unseen objects. Such anticipation, or planning, is usually interpreted as involving creative mental modelling and executive functions. The link contains some amazing (but poorly-lit) videos. How did disaster become the default option for a mature democracy? As Cathy Haddon of the Institute for Government, a think-tank, puts it, “Parliament can vote for any number of motions, resolutions and amendments to bills, but none of these on their own is enough to stop no deal.” Only three things, she says, can do that: passing an agreed Brexit deal; seeking an extension of Article 50, which needs the unanimous approval of 27 other EU governments, some of which will be reluctant; or revoking the original Article 50 letter, which can be done unilaterally up to March 29th but would be hugely embarrassing for Mrs May.